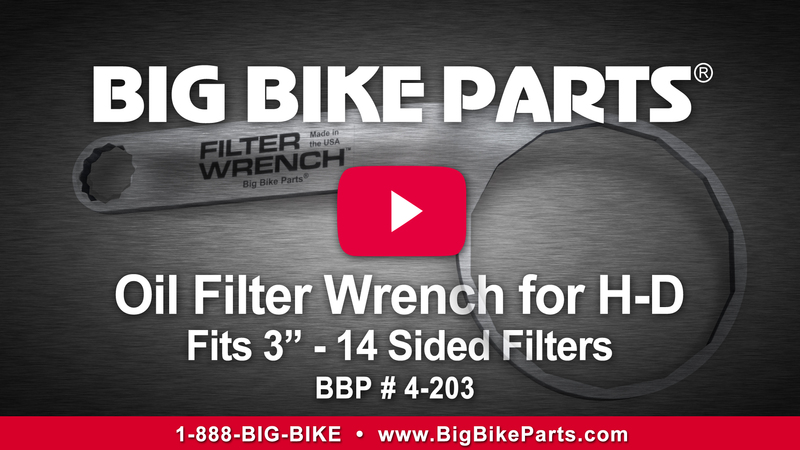 Rice Lake, WI – With over 20 years of providing the best filter wrench in the industry, Big Bike Parts® introduces an all new Oil Filter Wrench for 3” oil filters. 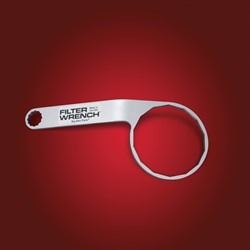 This Oil Filter Wrench fits 3” – 14 sided filters as used on Harley Davidson and other motorcycles. Includes built in 16 mm wrench for Oil Drain Plug removal. Big Bike Parts® zinc plated chromatic finish provides years of proven durability and utility. Made in the USA. Rice Lake, WI – Big Bike Parts® adds to its selection of Luggage Racks to now include Harley tour trunks. This Deluxe Trunk Luggage Rack is custom designed to match the lines of the Harley trunk and includes all hardware for mounting. 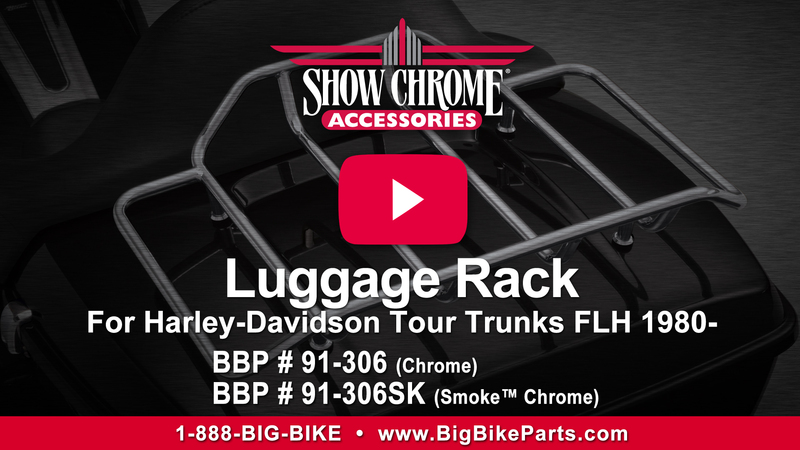 This Luggage Tour Rack is available in either Show Chrome Accessories® bright chrome or the exclusive black SmokeTM chrome finish. The rack is a generous 20-1/4” x 14” and accommodates large luggage tour bags such as UltraGard’s 4-603 and Hopnel’s H50-106BK Tour Rack Luggage Bags. 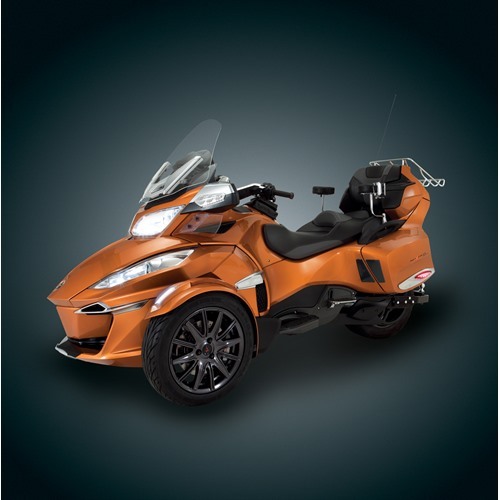 Rice Lake, WI – The new 2014 Can-Am Spyder is out! 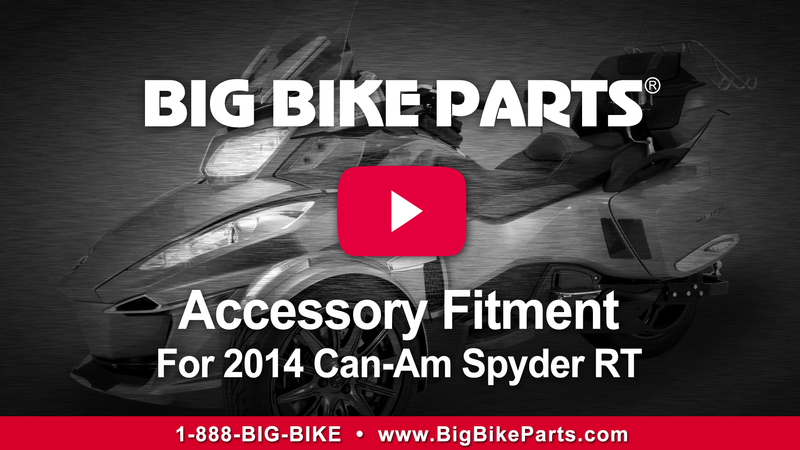 Big Bike Parts® can make your Can-Am Spyder look even sharper with over 40 current accessory fitments for the new 2014 Can-Am Spyder. See our website http://www.bigbikeparts.com for a complete fitment list. Rice Lake, WI – Big Bike Parts® introduces a C.B. 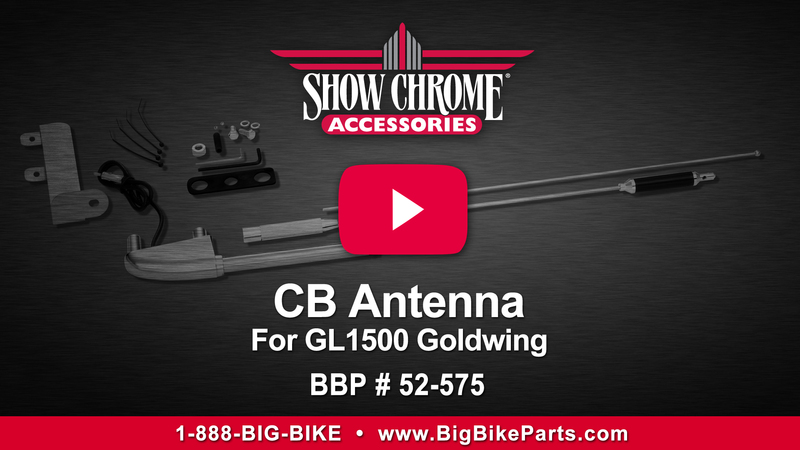 Antenna Kit for the GL1500 Goldwing. This C.B. Antenna Kit mounts to the trunk, in the same manner as OEM, with included hardware. Handy fold-down feature allows for putting on bike covers with ease. Antenna Length is 46 ½”. Fits Honda GL1500 Goldwing.